A new consumer report seems to show that cryptocurrency is becoming more mainstream, at least when it comes to teenage holiday wishlists. Specifically, investment bank and asset management firm Piper Jaffray released a report that showed that teenagers actually want cryptocurrency and Fornite “V-bucks” currency instead of actual cash. For those who don’t know, Fortnite is an online video game released in 2017 that has taken the world by storm, now boasting over 75 million monthly users. 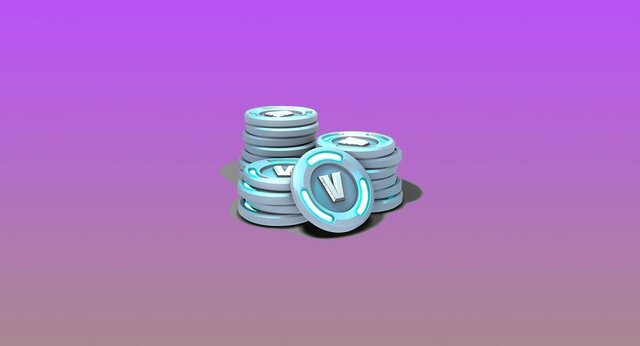 V-Bucks are used to purchase items within the game in order to purchase items virtually. 1000 V-Bucks can be purchased for $9.99. "Interestingly, teenagers ditched their traditional favorites such as cash and gift coupons in favor of digital currencies and ‘V-Bucks’, the in-game money for Fortnite. Similar to cryptocurrencies, V-bucks exist in digital form." If you're a Fortnite addict, I can understand why they'd want V-Bucks over cash so they don't have to go through the trouble of converting cash to V-Bucks. But that they're interested in receiving crypto is interesting and some positive news. Wait till they discover steemmonsters. This is very interesting! This is very motivating considering our upcoming MMORPG game based entirely on Cryptocurrency!